Hyundai i20 in USA And Canada - Is It Available? Home > Hyundai i20 > Hyundai i20 in USA And Canada – Is It Available? Hyundai i20 in USA And Canada – Is It Available? 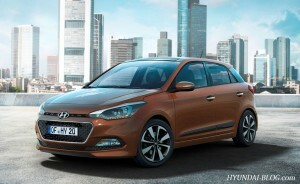 Is Hyundai i20 available in the USA and Canada? This is a question we hear commonly. Unfortunately, Hyundai’s hot-looking i20 5-door hatchback is not coming to the USA or Canada. Hyundai, the South Korean largest automaker, has developed the i20 hatchback exclusively for the European market. Available as a 5-door hatchbback or 3-door coupe, the i20’s characteristics have been tailored to meet the European customer demands. What’s good, though, is the fact that the US and Canadian consumers can get a similar car like the new Hyundai i20. In the USA and Canada, Hyundai offers the Accent 4-door sedan and 5-door hatchbacks. Those are both, essentially, the same vehicles as the i20, albeit featuring a completely different exterior and interior layouts. Hyundai Accent is built upon the same sub-compact car platform as the i20 and uses the same powertrain technology as its European sibling. The next-generation Accent is just around the corner with the fully-redesigned model coming to the market in about a year. Those consumers looking to purchase a highly-advanced small hatchback or a sedan should wait a few more months until Hyundai releases the next-generation Accent. Once on sale, consumers will be able to get exactly the same powertrain tech as found under the hood of the all-new Hyundai i20. And that means Hyundai won’t need to bring the i20 to the USA, as a very similar model (the Accent) packing the same technology will already be on sale there.